Nic Geard is Senior Lecturer with the School of Computing and Information Systems. He is also affiliated with the Modelling and Simulation Unit within the Centre for Epidemiology and Biostatistics, Melbourne School of Population and Global Health, where he was previously an ARC DECRA research fellow. 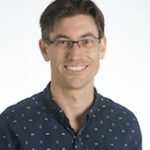 He holds a PhD in computer science from the University of Queensland and has expertise developing novel computational methods for simulating disease transmission in populations with realistic demographic, social and behavioural heterogeneity.